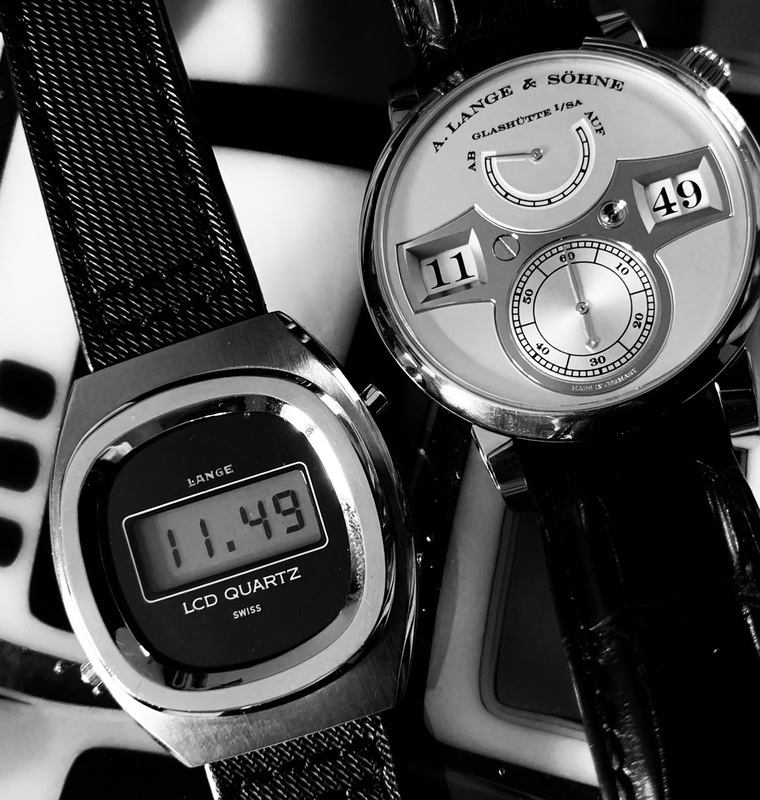 Until now, only two models of watches have ever been created under the Lange name with a digital display. The extreme contrast between them in looks, technology and what they represent is striking. Progress is a very strange thing. What will the mechanical marvels we treasure today look like compared to the timepieces of the future? The quartz model is from the 70’s, and the modern mechanical Zeitwerk. Superb shot showing two extremes of horology. Walter Lange ran a watch distributor in Pforzeim between 1951 and 1987 and this was one of the models from that period with the Lange brand name. I am not sure who actually manufactured it?